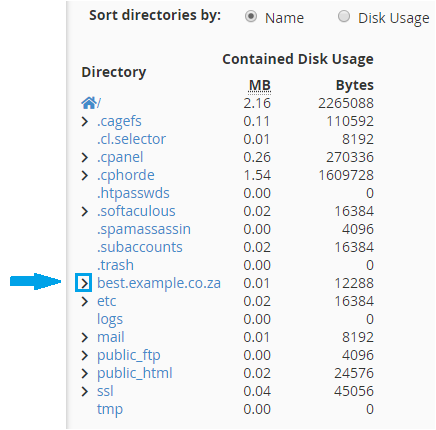 This quick guide will take you through the steps to view your disk space usage in cPanel. 2. Click on "Disk usage"
Here you will see a breakdown of your usage. At the bottom of the page, you can use a more detailed view. Click on the arrows to expand the folders to see what is using space.